It?s easy to underestimate the way in which your workspace can influence your work- but don?t! Your workspace can make or break your work flow. The wrong workspace can kill your productivity, zap your creativity, and leave you feeling mentally and physically depleted. The right workspace, alternatively, can take away the distractions of the workplace and get you in the zone. The Locus Bundle Pro is designed with your workflow in mind; it's functional, adaptable, and sleek. 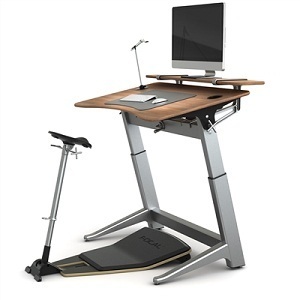 The bundle includes the iconic Locus Seat (with Nubuck Seat Cushion), Locus Desk (available in 3 desktop sizes), Anti-Fatigue Mat, Locus Shelf, Cable Management Tray, and LED Worklight.